I’ve been opening bearish on Gold for quite some time and while my bias for the metal hasn’t changed yet, one should be open to the possibility that the miners are attempting to put in a bottom. Support is indicated below and that would be a logical area to base your stop off of. Positive divergence on the RSI also looks to be setting up. I go into more detail in the video below. 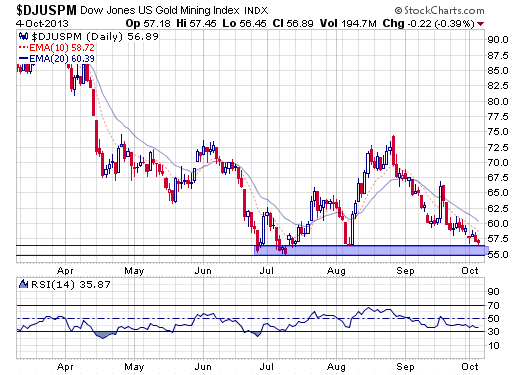 Video also shows the 3 strongest gold miners that should bounce the fastest.